Be sure to check out all 306 of our photographs from this event HERE! 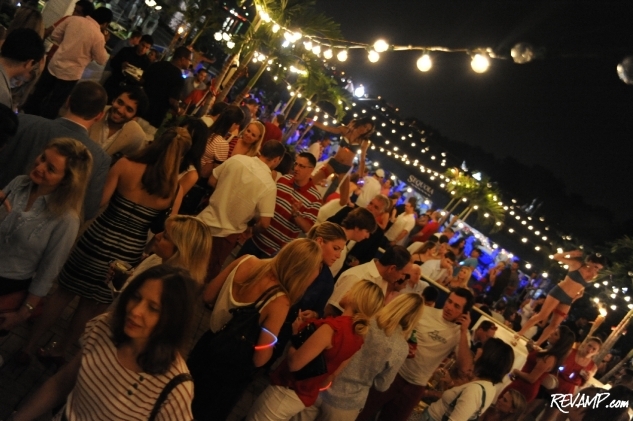 GEORGETOWN -- Last night�s fourth of July festivities might have rightfully belonged to Uncle Sam, but Sunday evening it was Michael Saylor who stole the spotlight, with his annual Independence Day party on the Georgetown waterfront. The guest list-only affair saw more than 1,000 attendees. Saylor, the founder of Washington, D.C.-based business intelligence software provider MicroStrategy, is, of course, already well known among the city�s business (his company�s stock has nearly doubled since the beginning of the year) and philanthropic circles. Alex Ovechkin / Photo courtesy of Scott Moon. Over the years, he has given generously to a variety of area charities, including the Fashion for Paws program of the Washington Humane Society and the Jet� Society of The Washington Ballet. 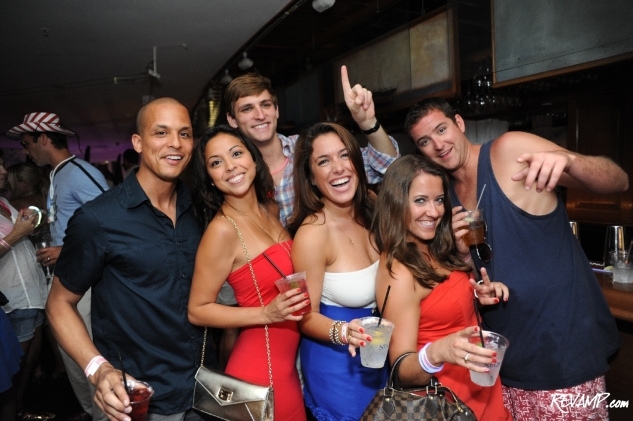 But every now and then, the city�s most eligible bachelor likes to throw a party with the sole goal being to have fun. And rather generously, Saylor always likes to take along a few thousand of his closest friends, family, and business associates for the ride. 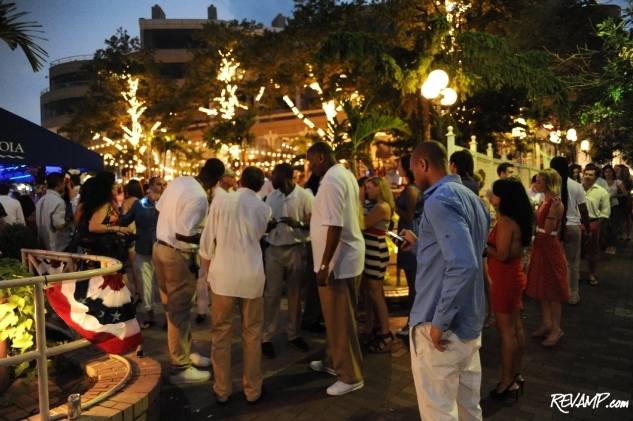 So the scene was set on Sunday night for his annual Independence Day celebration. 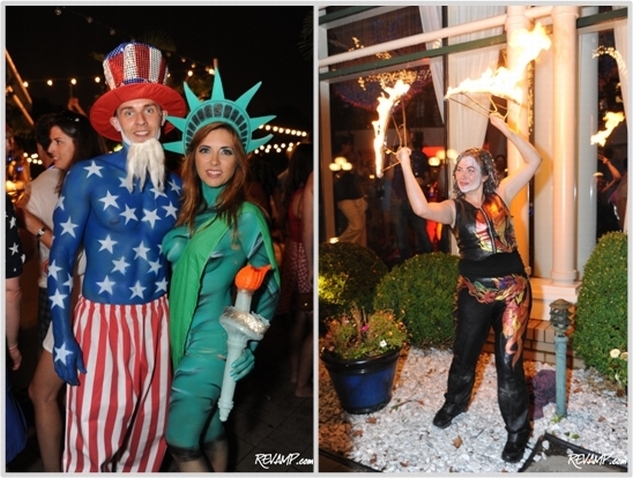 A now much look-forward-to annual affair, this weekend�s party marked a somewhat radical departure from prior years in that it wasn�t held at Saylor�s Georgetown penthouse apartment, which is currently undergoing renovations. Certainly not one to let a little scaffolding get in the way of his fun, Saylor decided instead to team-up with the good folks at Sequoia restaurant. 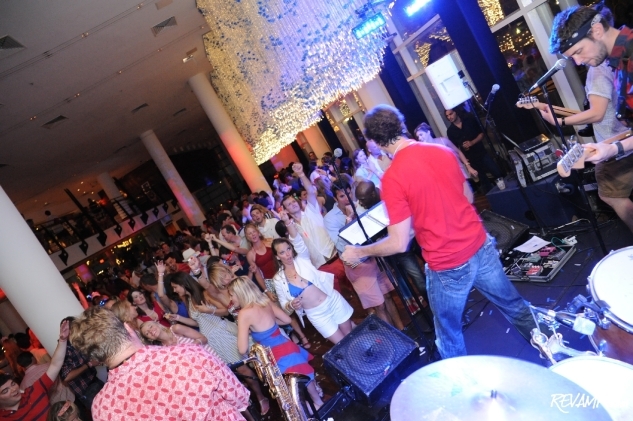 And so an army of red, white, and blue (the requested party attire) descended upon the Georgetown waterfront on Sunday evening for the self-described �Beach Blast.� Produced under Freddie Wyatt�s Jamestown Entertainment banner, the guest-list only soiree saw more than 1,000 Washingtonians turn-out to celebrate. 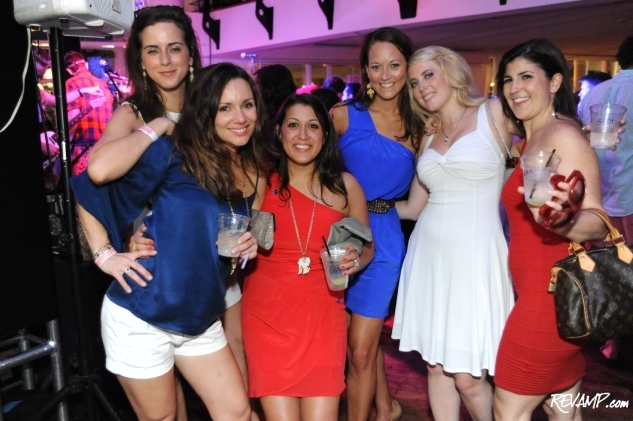 More than a half-dozen open bars, boasting top shelf spirits like Veuve Clicquot champagne and Maker�s Mark bourbon, kept the crowd hydrated, while buffet tables saddled with plenty of all-American fare (think burgers, hot dogs, and corn on the cob) quenched everyone�s appetite. Even the weather seemed to be working in tandem with Saylor, with a brief early evening thunderstorm ensuring a comfortable 75-degree temperature for the rest of the evening. 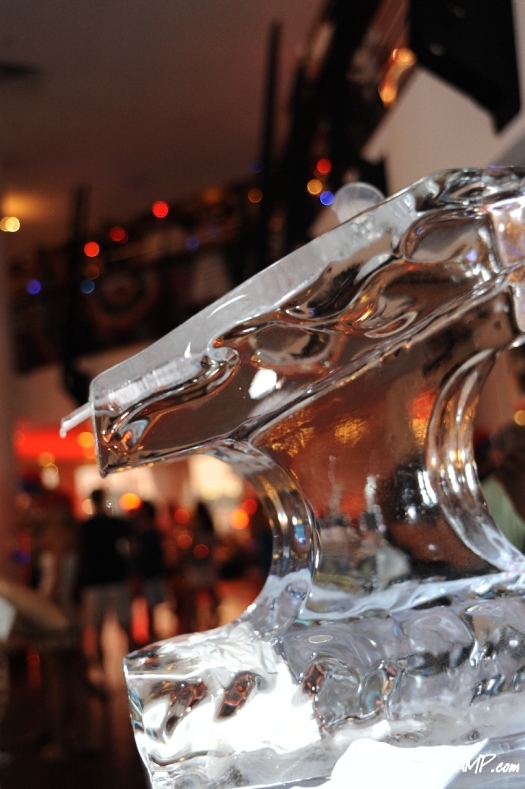 A dedicated vodka bar, complete with ice luge, was but one of the many beverage options. 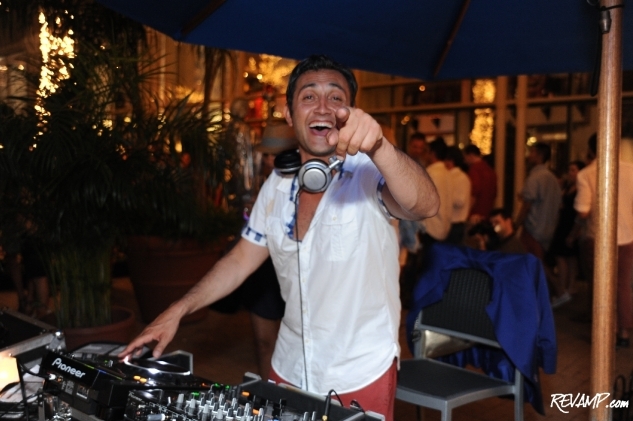 A live cover band inside Sequoia�s main dining room kept guests dancing well past midnight and DJ Seyhan Duru spun a lively soundtrack throughout the multi-floored patio area outside. As revelers lounged on beds and couches that had been purposefully imported for the occasion, bikini-clad models danced from makeshift stages and costumed jugglers and mimes liberally mingled about. The evening wasn�t all fun and games though (okay, it really was, but�). 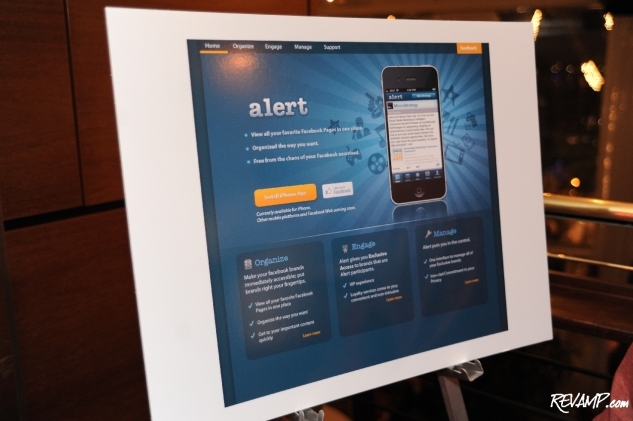 In a nod to Saylor�s roots first-and-foremost as an entrepreneur, invitees were encouraged to download a new Alert iPhone application developed by MicroStrategy offshoot Strategy Network. 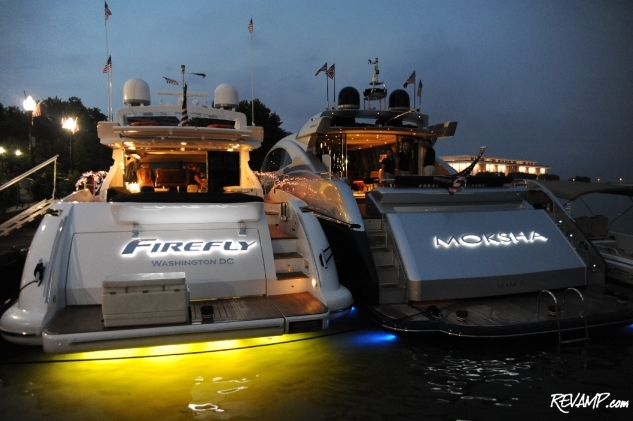 Those who did were granted special VIP access to the party's upstairs �costume and prop tables� and even a chance to attend the all-night after party aboard Saylor�s two yachts: the 68-foot Firefly and Moksha.